52688-CZ is rated 4.2 out of 5 by 13. Rated 5 out of 5 by Mike and Lisa from Love this showerhead. 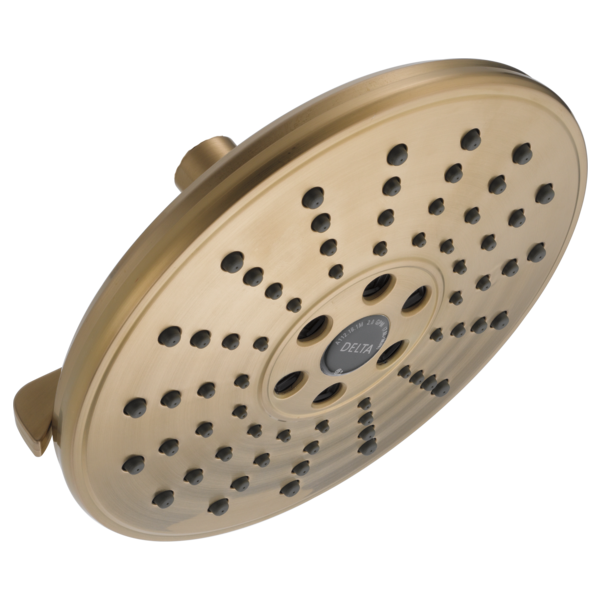 Have it in two other showers and just purchased this to replace our old showerhead. Rated 5 out of 5 by Marissaquinn90 from Works like it should Put in our new bathroom and have another one on the side for when the master is done. Works like a rain shower head should. No complaints! Rated 5 out of 5 by mamm10 from Great shower head We recently purchased this shower head, and I have been very happy with it! Excellent water flow, the surface area is large so it produces a lot of water and pressure is good. I highly recommend! Rated 5 out of 5 by Marissa from Works like it should Works like a shower head should! Rated 5 out of 5 by SolarJ from Truly a rain "shower" head. Good quality heavier material construction. With the almost 8" shower head, it provides plenty of water for hair washing and cleaning. Its a gentle wash. 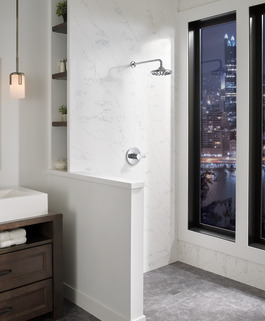 If you prefer being pummeled by streams of water, this is not the shower head for you. Rated 5 out of 5 by JamieB from Great Design and Feels Amazing Just installed this on a master shower. The finish is super up to date and visually reads a crisp black. My customer let me know that the water flow is perfect in spread and power. Really gets the shampoo out and doesn't make me feel like there is not enough pressure! Always a plus, especially with the tighter restrictions for flow in California!! Will this work with RP61273CZ? I would like to use RP61273 with 52680 to replace the shower arm in this shower combo: T17T459-CZH2O. Is this possible? spray width? add hand held? What is the spray width for this shower head on a wall mounted shower? Also, can you pair this with Delta Faucet 54433-SS-PK? I want to add a diverter and include the hand-held. Is this shower head made out of plastic or metal? Will this head, 52688, work with shower arm RP46870? Is this metal or painted plastic? Will this work with U4993-PK Shower Arm?